A super functional key ring with room for a mirror and a photo! Personalise with any message over 5 lines and up to 15 characters per line to the front. 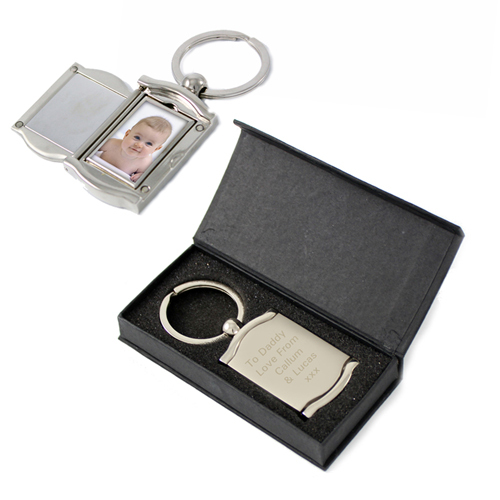 This gift has a side to store your photograph and a mirror inset on the left hand side.